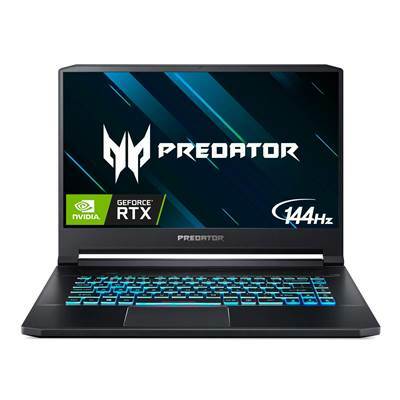 Infused with an 8th Gen Intel® Core™ i7 Processor1 and GeForce RTX™ 2080 with Max-Q Design1, this laptop was forged to obliterate your games, empower your creativity and inspire envy from friends and family alike. All this on a 144Hz/3ms2 display. 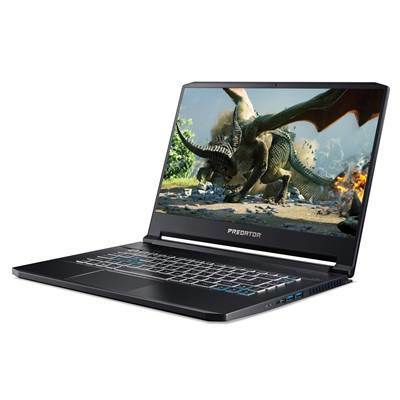 Covered in abyssal black metal3, we designed the Triton 500 with a purpose – to allow you to game, whenever, wherever, as you please. 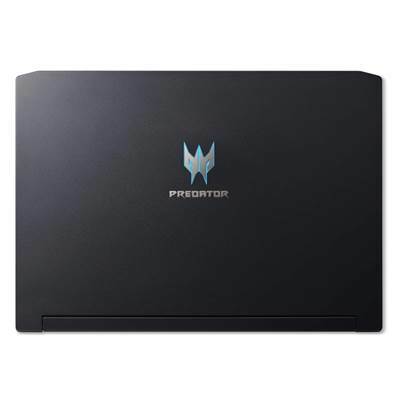 And when the LED-lit Predator-emblazoned cover flares into life, it will act as a reminder that this isn’t your typical gaming laptop. 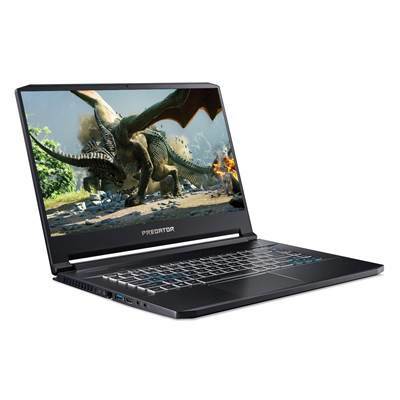 Speed is at the core of this laptop with the display leading the charge. How? 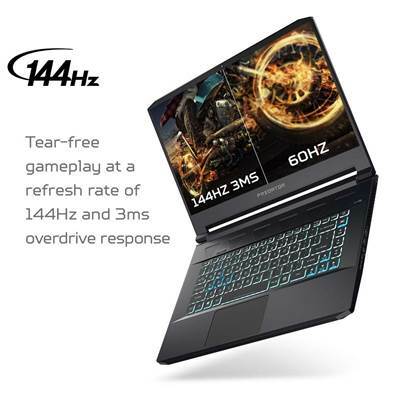 We’ve chosen a 144Hz panel with a 3ms Overdrive response time. Farewell blur and hello clear, crisp high-octane gameplay. 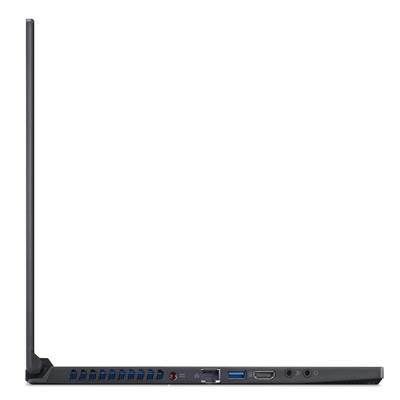 Go on and hook up a few extra displays via the ports through HDMI 2.0, Mini DisplayPort (mDP) or USB-C™ Thunderbolt™ 3. Including the laptop screen, that’s a total of four displays play around with. 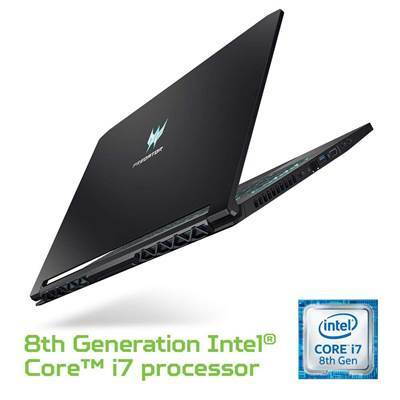 Residing within the metallic shell are the six-core 8th Gen Intel® Core™ i7-8750H Processor1, a GeForce RTX™ 2080 with Max-Q Design1, up to 32GB of DDR4 memory at 2666MHz and two 512GB1 PCIe NVMe SSDs in Raid 01. The result? Absolutely insane performance that craves real challenges. 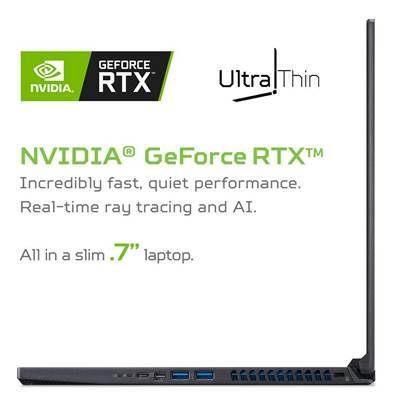 GeForce RTX™ gaming laptops are powered by the NVIDIA Turing™ GPU architecture and the groundbreaking NVIDIA RTX™ platform. Count on the fastest, most realistic, AI-enhanced gaming experiences. Add an extra layer of realism to your games. Ray tracing simulates the true behavior of light to bring real-time, cinematic quality rendering to the most visually intense games. The revolutionary NVIDIA Turing™ architecture fuses together real-time ray tracing, artificial intelligence, and programmable shading for a whole new game experience. 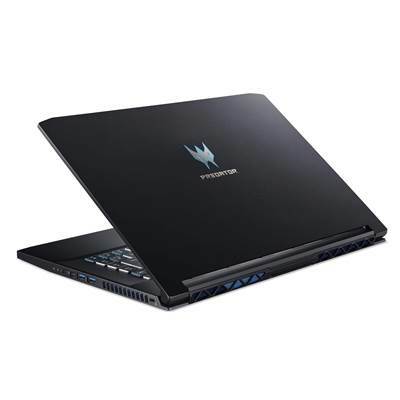 All Predator laptops utilize our custom-engineered cooling technology. 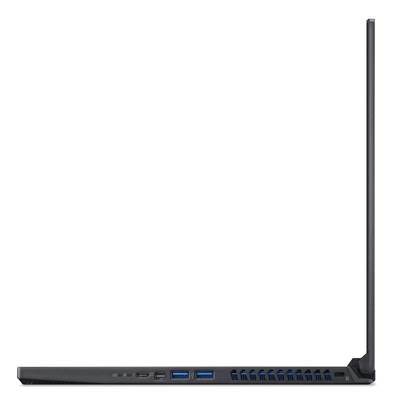 The latest generation’s new design reduces noise while increasing airflow – allowing you to maximize your performance no matter the task. Inspired by silent, powerful owl flight mechanics we gave our fans a serrated edge, allowing more air to pass through. Each of the 59 bionic blades is just 0.1mm thick and all-metal with a stabilizing dual indent groove. Winglets along the top and bottom fan edge and a curved fin along the inner blade further reduce turbulence. 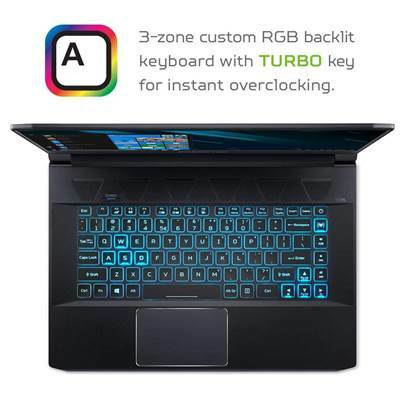 The 3-zone RGB customized keyboard uses our own Predator typeface, has see-through concave-shaped keycaps for WASD and features two integral keys to take note of: Turbo and PredatorSense™. 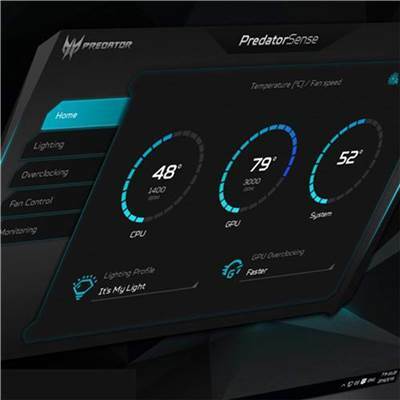 Tap Turbo for instant overclocking or hit PredatorSense™ to open the utility app. 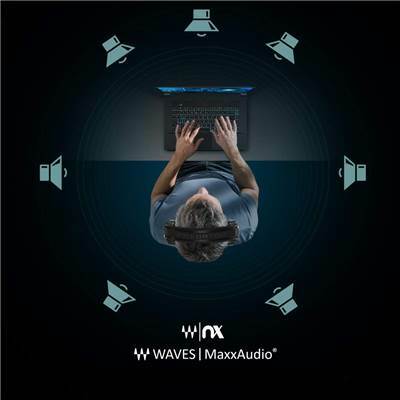 Turn any pair of headphones into a high-end 360° surround sound system – enabling you to experience your favorite movies, music and games with real-world 3D sound. 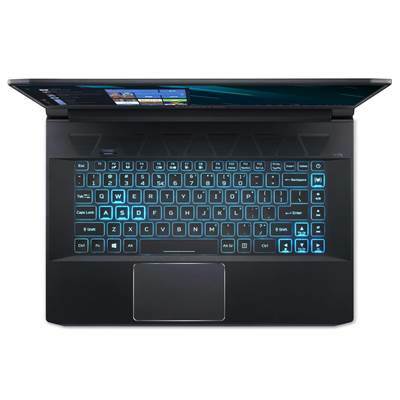 A suite composed of top of the line audio processing features to enhance every aspect of your laptop’s sound. Hear deeper thundering lows, even on small speakers. 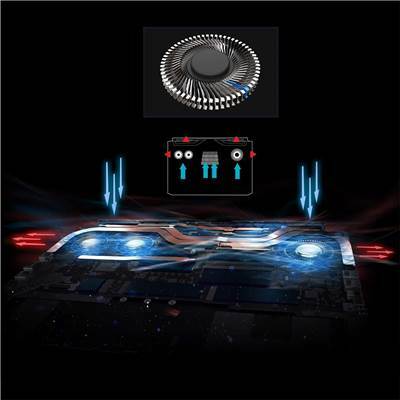 MaxxBass delivers the low frequency impact that makes music and gameplay come alive. Allows you to identify the “center” (dialog) information and adjust its level independently, resulting in clear dialog that doesn’t vanish behind background sounds. No one wants to lose a match due to latency. It’s heartbreaking. With Killer’s E3000 Ethernet Controller, Wireless-AC 1550 and Killer Control Center 2.0, you have all the tools you need to clear out the online competition keep your ping low and 100% optimized.